KATE McCann has broken her dignified silence to attack the Portuguese detective who led the bungled hunt for Madeleine. She slated Goncalo Amaral for failing to find her little girl and for trying to cash in on the tragedy by writing a book. Her comments come almost a year to the day since she and husband Gerry were hauled in for questioning and made arguidos in the case. They were forced to suffer for more than 10 months with the cloud of suspicion hanging over them before they were eventually cleared of any involvement on July 21 this year. In an interview in the Portu­guese newspaper Expresso, Kate is particularly critical of Amaral, who was eventually sacked from the case following a series of embarrassing gaffes. 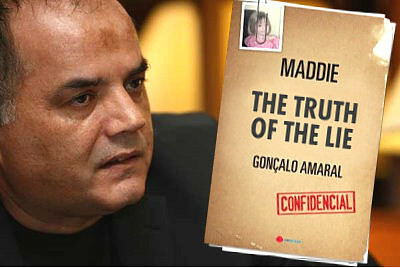 A family friend said Kate was very angry about Amaral’s decision to publish his book while Madeleine was still missing. 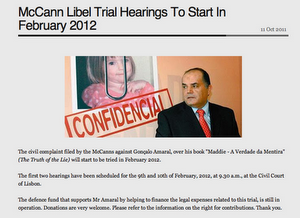 When he announced he was writing a “warts and all” expose, the McCanns threatened legal action. In the Expresso interview the couple, both 40, of Rothley, Leicestershire, also tell of their hope that Madeleine will be found safe and well soon. But the couple insisted this was not the reason they left Portugal two days later, returning home with their two-year-old twins Sean and Amelie. The couple’s spokesman Clarence Mitchell said: “Kate and Gerry have chosen to speak out to an element of the Portu­guese media because they firmly believe that there may well be important information that somebody knows in Portugal. The McCanns HAVE NOT been cleared.